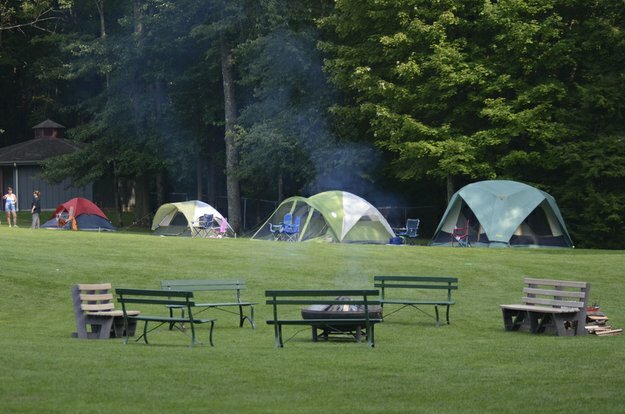 Mill Creek MetroParks will present Family Camp in the Park June 23 at 9 a.m. through June 24 at 1 p.m. on the Judge Morley Lawn in the Wick Recreation Area. This family camping experience will offer fun activities in the day and through the evening, including nature programs, hikes, crafts, family and children’s outdoor fun and an evening campfire. The Morley Pavilion area will be closed to non-participants, with the area being closely monitored. Family Camp in the Park is sponsored by WFMJ/WBCB. Space is limited, and the fee will increase after Sunday. Participant fee is $10 (resident), $15 (nonresident), under 2 free. Price includes some meals, activities, complementary MCMP activity pass and s’mores around the campfire. Limited tent rental available for $15 per tent. For information or to register, call 330-740-7107. Rundown of activities in October at Mill Creek MetroParks' facilities.